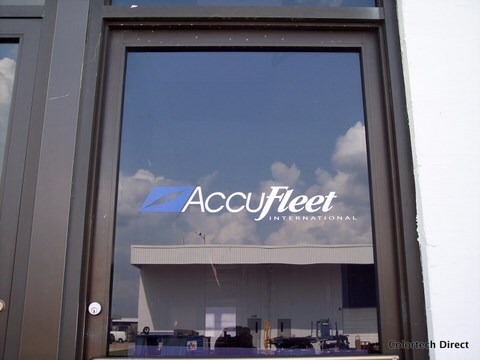 Vinyl Lettering, Decals or Logos can be custom printed in just about any color and cut in endless shapes, offering an excellent way to keep your branding consistent. Perfect for vehicles, storefronts or interior office windows, they install quickly and easily with minimal interruption to your business. 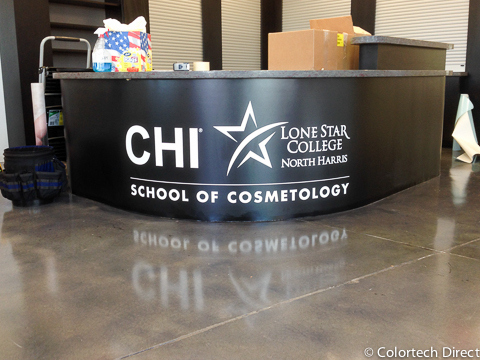 Vinyl Applied to Counter at Lone Star College CHI School of Cosmetology. 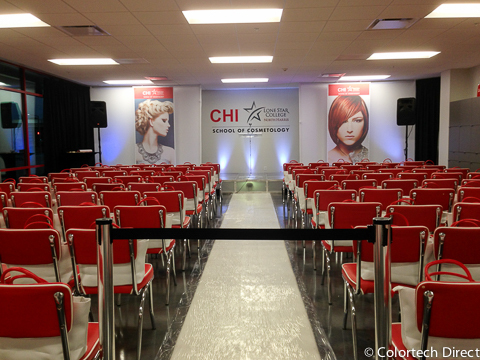 Vinyl applications in the CHI auditorium along with oversized prints flanking the podium. 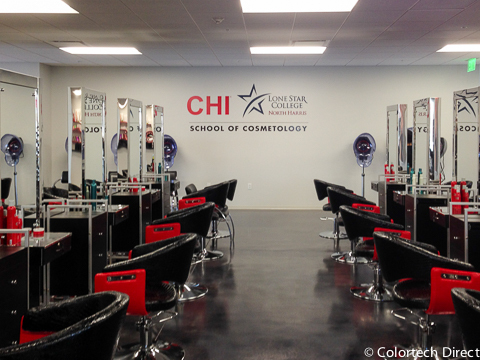 Vinyl logo for CHI School of Cosmetology on the hair studio wall. 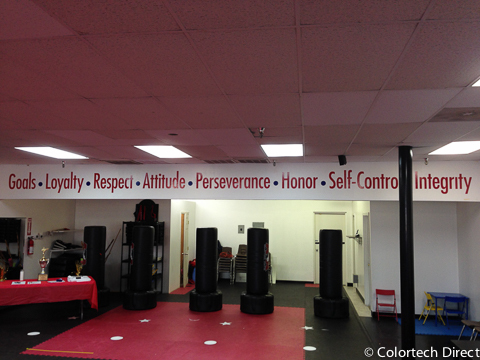 Large vinyl graphics with motivational words applied to taekwondo studio walls. 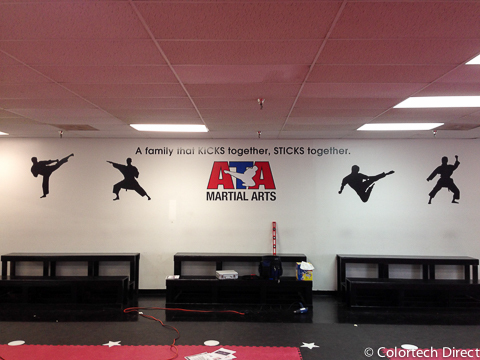 Large vinyl graphics applied to taekwondo studio walls. 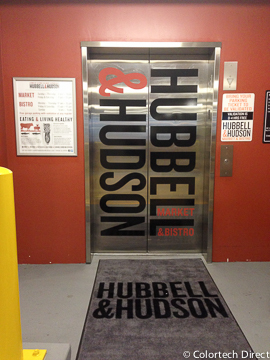 Oversized logo applied on elevator doors for Hubbell & Hudson in The Woodlands, Texas. 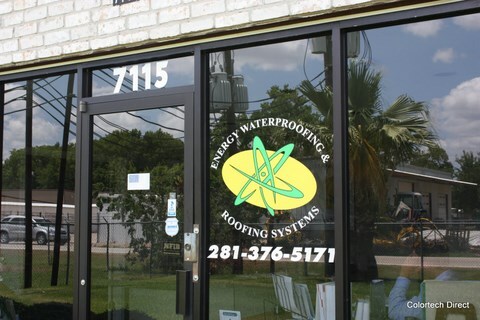 Custom logo and lettering applied to a store front window for a local Houston business. 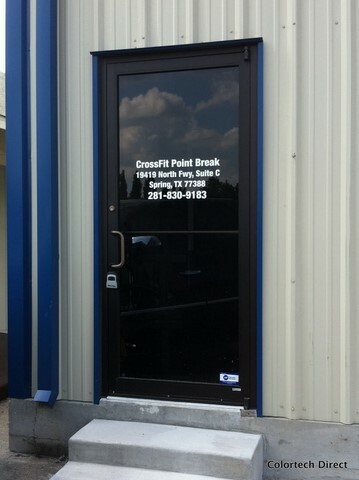 Custom Vinyl Logo and Lettering for Front Door. 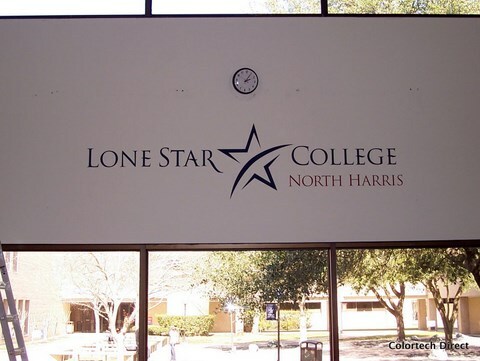 Vinyl logo applied to Lone Star College North Harris gymnasium walls. 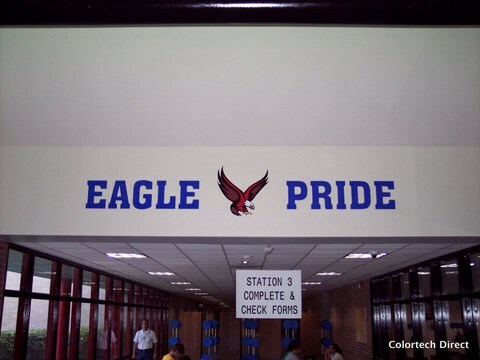 Custom wall vinyl for Labay Middle School. Inspirational phrases for Labay Middle School hallways. 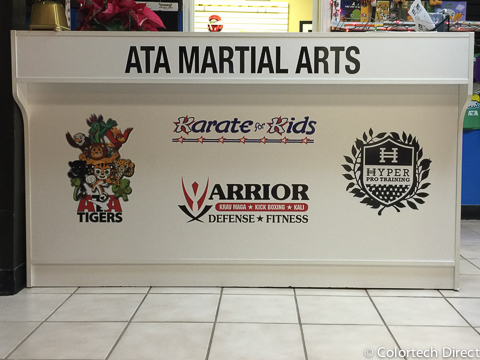 Custom vinyl lettering for a storefront door. 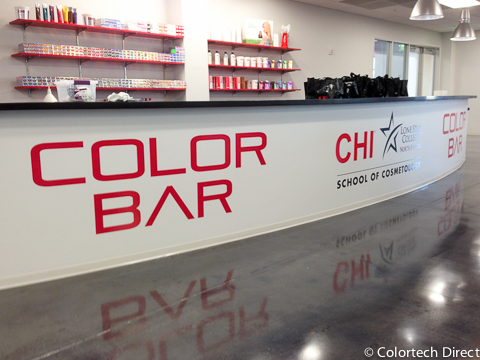 Vinyl applied to the front counter at ATA The Woodlands. 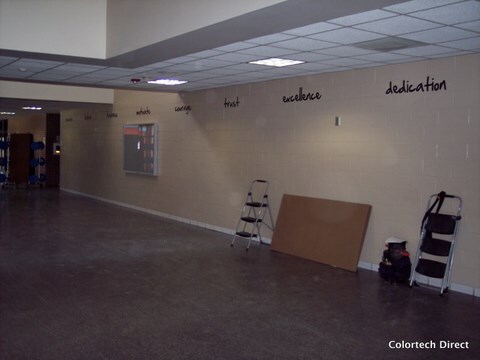 Click HERE to request an estimate for your vinyl lettering project.